bright side of the road: I'm a baaaaaaaack and I have food to talk about! I'm a baaaaaaaack and I have food to talk about! Well, I guess you didn't necessarily know I was away since I didn't post it here! But I've just returned from a lovely holiday in Canada! Justin and I went back for our good friends' wedding and used that as a reason to hook up with family and some old friends! We did some shopping (maybe too much), we did some sight seeing, but also we did some drinking and eating with said friends and family! So since I don't have any recipes to post here, I thought I would give a little run down of what I ate and other foody related things. So let's start from the beginning, Charles de Gaulle Airport. We have heard time and time again from friends that they never enjoy CDG. Justin and I have never had any problems ourselves, in fact Justin could tell you about a story where he was treated like royalty and given a private car ride to the plane, but you'll have to ask him about that adventure. One thing we do love, the baguette sandwiches. Sure, you can buy baguette here and stuff it with some meat and cheese and call it a baguette sandwich but it's just not the same! CDG baguette sandwiches are sweeter, softer, and tastier, and we look forward to them every time we fly with Air France! Then, we had the 8 hour flight to Toronto. A long time ago I realised that I don't enjoy most airplane food. Chicken or beef ma'am......um...neither? Blargh, so dry and tasteless!!!! But then once a friend ordered the vegetarian meal on the plane and I was instantly jealous of her meal. Ridiculous I know. But, from then on I have also ALWAYS ordered a special meal. Usually there aren't a lot of other options, regular, vegetarian, gluten free, vegan at most. But this time around the options were endless. To see what I mean, check out this link detailing the options for Air France flights. So you see, I had to think about it quite carefully. What to get....what to get........I didn't need gluten free, kosher or muslim, and I wasn't in the mood for vegetarian (which I usually get) so I chose Hindu Non-Vegetarian (HNML). Before I talk about the food, I will mention that I got some funny looks from the flight attendants when they came to bring my food, they had a very 'wtf' look on their faces when confirming that I ordered the Hindu meal. Hey, if it's not an option for everyone, then don't offer it! :) So my meal to Canada came as a coleslaw with shredded smoked salmon, then baked salmon on rice with veg (along with snack, bread, drink and dessert). I have to say I wasn't happy - I don't like salmon all that much. Silly me! But, I have to say the salad turned out to be delicious and the main wasn't all that bad either! Usually I don't like how strong salmon can taste and sometimes how dry it can be when not cooked properly but I have to admit, whatever odd preservatives went into this meal did it justice. Suffice to say, I was a little hesitant on the return journey to the UK. Salmon again....yeah......but this time it came the way I had hoped it would! Curry!!!!! There was a lovely rice, curried pea and paneer and what I think was a turmeric spiced chickpea mash. LOVELY! Absolutely lovely. Prior to the flight Justin and I discussed that we should probably eat supper when we landed that night, so after some discussion we decided to book at East Side Mario's, an Italian chain in North America that we used to love going to for the all you can eat caesar salad and bread prior to your meal. This bread was yummy and warm and our plan was always to eat that, eat part of our meal and take the rest home in the doggy-bag (which is far more acceptable and common in Canada). We looked forward to our meal, even booked a reservation with the family to ensure we got to go but it wasn't what we had remembered it to be. They didn't have what Justin wanted and would typically order and the bread was a disappointment. Smaller loaves that definitely didn't look home baked that day, more like frozen, defrosted and heated up that day. Ah well, time to move on, as you get older your taste buds change! 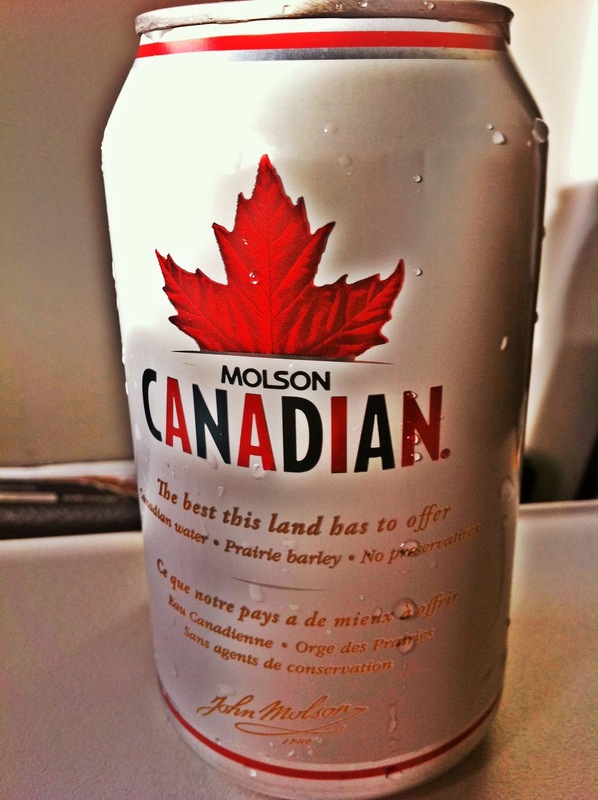 Not our favorite Canadian beer but would do! Our next food adventure was to Zak's Diner in the Byward Market. Dad loves to go here for their yummy milk shakes. They also serve the Zak Attack burger which is so huge I've never seen anyone finish it. I used to love that you would get real cherries in your Dr. Pepper. I had to order poutine. It's no Chez Nous (Zak's used skinny fries...booo) But it was delicious and the gravy was yum. Canada has mastered the chips, cheese and gravy combo, sorry UK. We had an absolutely tasty meal at the wedding, chicken was lovely as was the late night buffet pizza! But my favorite part - the Bride & Groom M&M's in a party favour mason jar. Haven't been able to bring myself to eat them yet, but very cool guys! Next mission, Montreal Smoked Meat. For those of you who don't know, Montreal is famous for this delicious delicacy. Unfortunately I couldn't go to Montreal to get it, but I had a lovely substitute from Dunn's Deli in the market. Warm Montreal Smoked Meat on Rye Bread (has to be rye!!! ), with mustard, swiss cheese and served with crispy sweet potato fries. mmmmm mmmm You'll note the sandwich was HUGE! I had to pull about half of it out and nibble on the meat separately because I couldn't get my big gob around it! But it was worth it! Now a break from food to talk about some foody things. 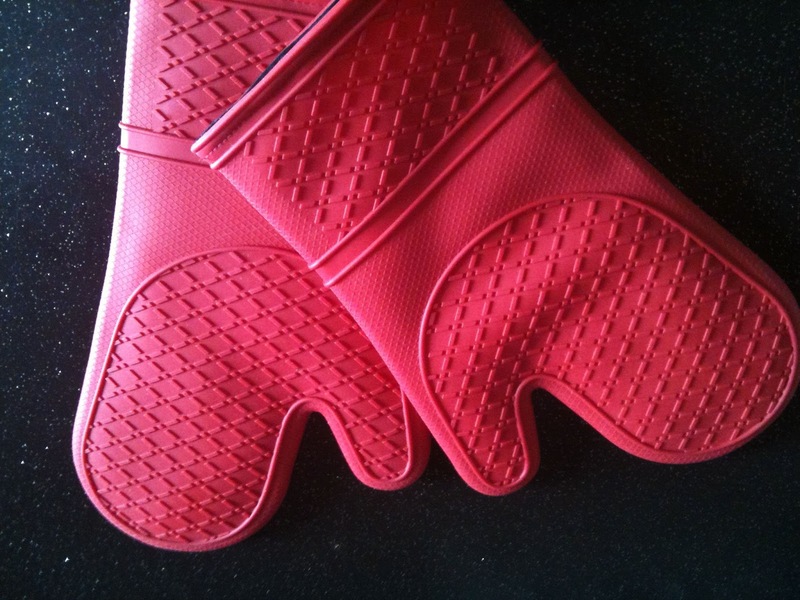 Buying a matching set of oven gloves in the UK is almost impossible. You would think that because you have two hands, they would sell in a pair. Nope. Nopers. Nada. (and they are expensive for one). So I was really happy when I found this pair in Walmart. Not only was I happy because they wouldn't cost a fortune, but I loved that they weren't made out of material. Drives me nuts when I buy a brand new pair of oven gloves only to goop them up with sauce when taking something out of the oven because oven gloves are so big and awkward it's impossible not to stick your hand in the food. Then the food gets all dry and crusted on the glove, never to be washed off - don't get me started on melted cheese! So I was absolutely delighted to find these ones! Totally wipeable! Love it. And they actually fit my wee hands much better then any other pair I've owned. Huzzah! 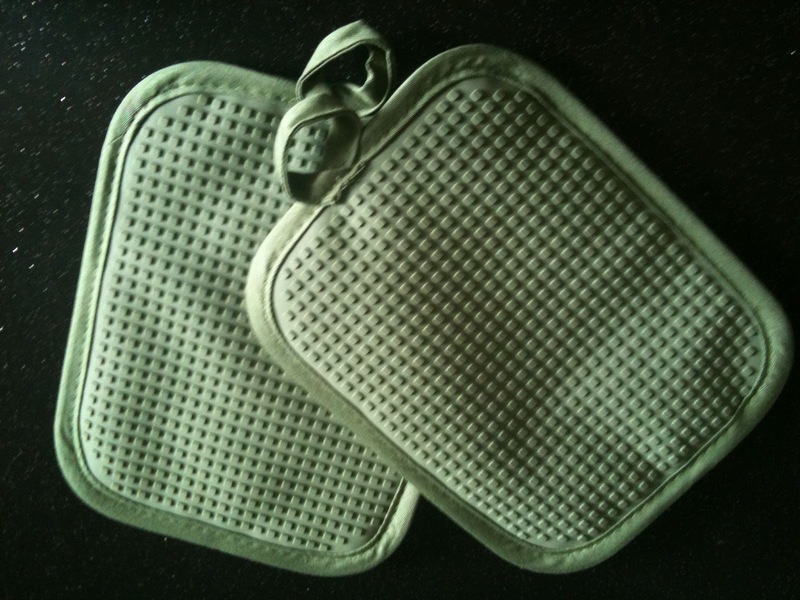 I couldn't stop there, the green pot holders also caught my eye (favorite colour and would also match my kitchen accessories). 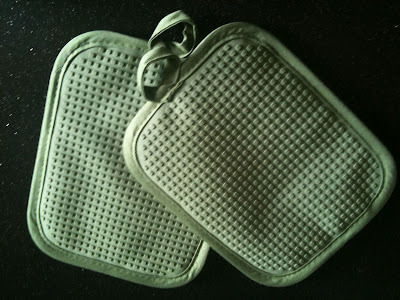 And again, totally able to wash these puppies easily! Double huzzah! Then, we had to do it, we had to have Canadian Snow Crab legs. So sweet and succulent and difficult to find here - there wasn't a second thought. Justin was tempted to order the full pound, I think he's happy he didn't, it's more filling then you would expect. Next, was supper with Justin's Grandma Pivar. Every time we are home she makes her famous chicken noodle soup, breaded chicken and apple strudel. I have to get the recipes. Every time it's the same meal, every time it's magnificent! You can taste the love that goes into her food! The picture below is from a lovely country restaurant in Oxford Mills just outside of Ottawa called the Brigadoon. The restaurant is owned by a lovely English lady who's been living in Canada for 21 years. The food screams of British-Canadian fusion. The restaurant is filled to the brim with British paraphernalia, from old Whisky boxes to paintings to a wall dedicated to the royals. Some might think it's too much, but I thought it was perfect. Below was the first meal I had there - bbq chicken with tomato coulis and spinach/sweet potato/chorizo stuffed crispy ravioli. It was to die for!! The ravioli is one thing I'm determined to recreate at home. I don't know what pastry recipe they use, but I think it could easily be done with filo or wonton wrappers. mmmm mmmmmm. Our last night there I had lamb cutlets with a brandy gravy and sweet potato mash. Yum! Great quality food at a decent price. They're also great at wine pairing. Then we had the opportunity to visit Justin's mum, which always means a rummage through our stuff stored in her basement. This time we were on a mission to bring our roller blades back with us, but I came across some gems that I forgot about. 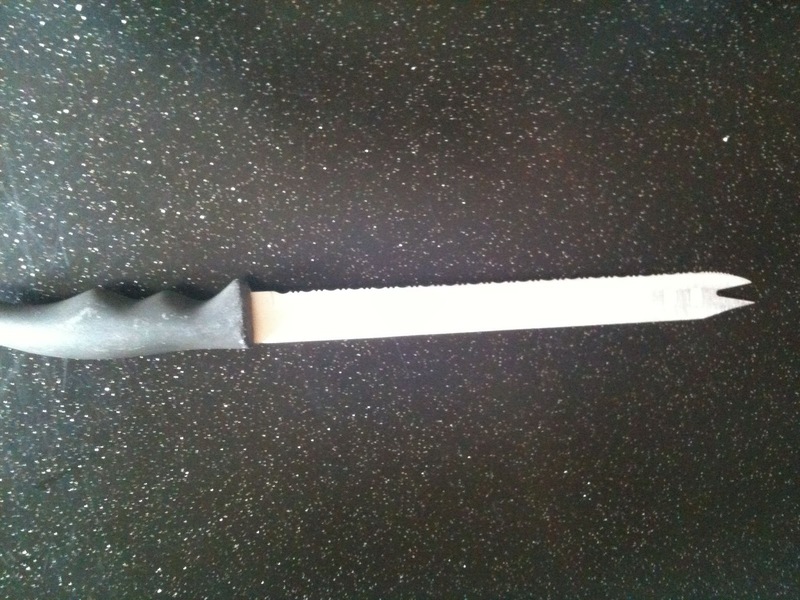 Below is a fabulous knife my mum gave me, but I never got the chance to use it because we moved shortly after. 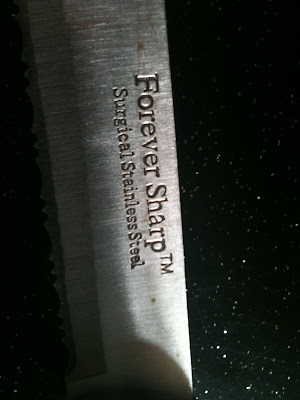 A Forever Sharp knife, I was determined to bring this bad boy back with me no matter what! Can't wait to try it out! 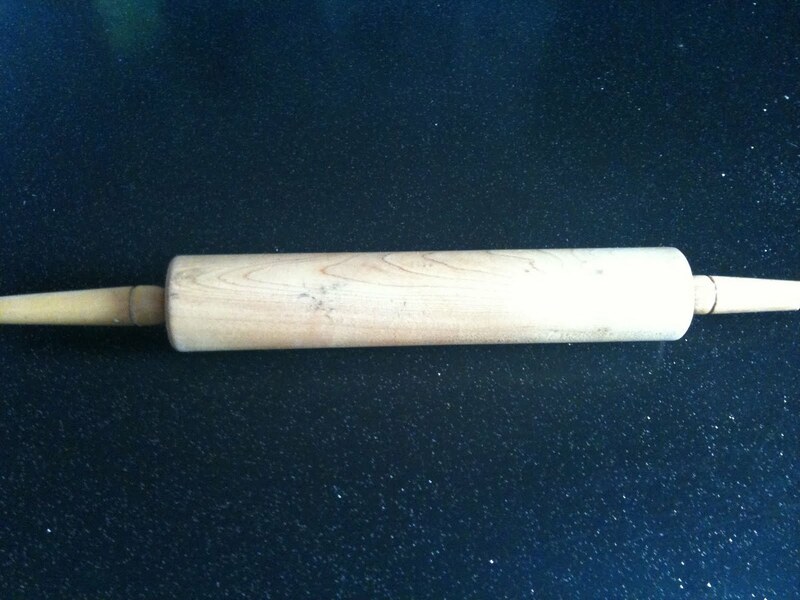 I also wanted to bring back this rolling pin that Justin's dad gave me years years years ago. It saw me through my beginner baking years and so I thought it important to bring it back with me instead of letting it sit alone in a box. And finally, as always we had a visit to Sugar Mountain. What kid (or adult) wouldn't go crazy in a store called Sugar Mountain. It's inevitable. Not only can you find almost any type of candy known to man, it's nostalgic. Jelly beans, Hubba Bubba, gum tape, fizzy candy, ring pops, and an ENTIRE WALL OF PEZ DESPENSERS! Sugar Heaven it should be called. But I brought back my most treasured candy of all. 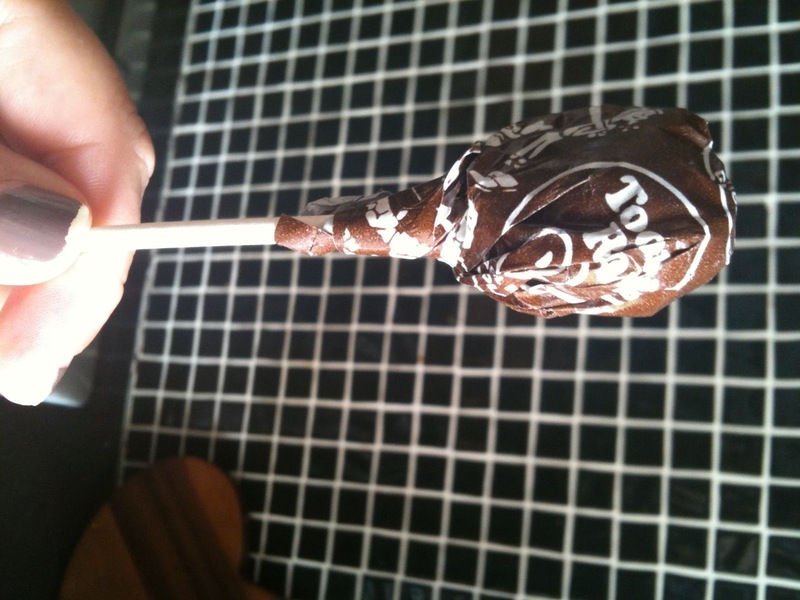 The Tootsie Pop. 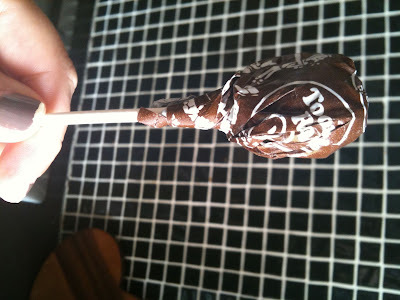 Tootsie Rolls on their own are delicious, but these are flavoured candy (cherry, orange, chocolate, blueberry) with the sweet chocolate toffee centre served on a stick. You just can't go wrong! As I said, we had a lot of other great meals in between the ones mentioned, unfortunately I just don't have the proof! Although I might have made it seem this way, the trip wasn't at all about food. It was about the wonderful people we got to laugh with and talk to, over each of these meals. Love you all! Miss you all!